Over roughly a decade, many millions of dollars have gone toward projects to curb serious car accidents and bad driving on Highway 2. We look at whether crashes have gone down. 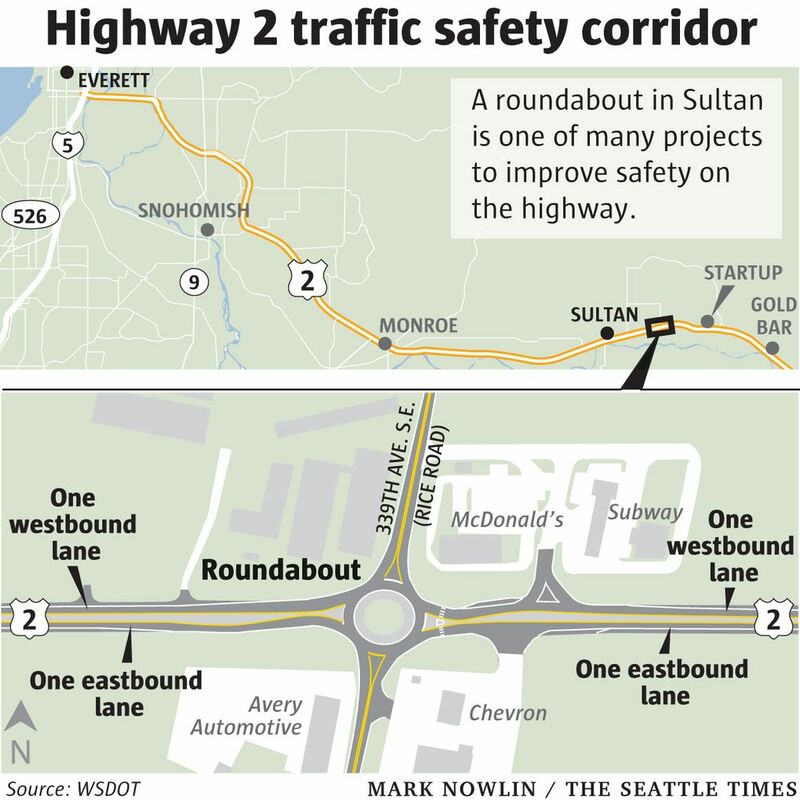 To Gloria Wolter, transportation officials have made good progress improving U.S. Highway 2’s safety in Sultan since her 47-year-old son’s death on the road in 2010. Bruce Ramsey, a longtime state corrections officer, died in February after his motorcycle collided with a car that turned in front of him from Rice Road. His death generated heavy concern among locals over motorists’ safety at the busy intersection, eventually leading to a project sponsored by the Washington State Department of Transportation (WSDOT) to reconstruct the site into a single-lane roundabout. 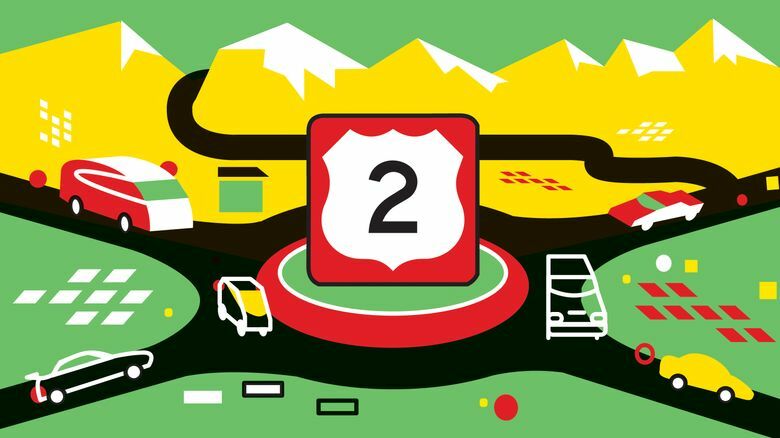 For this week’s Q&A column, we’re highlighting state efforts over the past decade to curb serious car crashes and dangerous driving, such as with the roundabout, along the 64-mile stretch between Interstate 5 in Everett and Stevens Pass. A reader from Woodinville contacted Traffic Lab, asking for an update on WSDOT’s plans. WSDOT has spent nearly $60 million in all to improve traffic flow and safety on Highway 2 since 2008, the year after then-Gov. Chris Gregoire announced a safety initiative due to the highway’s history of serious collisions, said WSDOT spokeswoman Kris Olsen. A citizen-led advocacy group, named the U.S. 2 Safety Coalition, has been calling attention to the roadway’s dangers since 1997, as traffic started increasing significantly as cities along the route grew. Gregoire’s 2007 announcement that the Washington Traffic Safety Commission had designated the highway a traffic safety corridor launched a partnership between local agencies and the state to improve safety, including roadway changes and additional law-enforcement. It came as WSDOT completed a long-term plan for potential changes along the highway, after collecting data on driving patterns and public feedback over years. Between 1999 and 2007, there were more than 2,600 crashes on the highway between Interstate 5 and Stevens Pass, killing at least 47 people. The causes ranged from aggressive, inattentive and drunken driving, to people falling asleep at the wheel. For comparison, WSDOT reports 20 people died in accidents between 2011 and 2016, after projects from the 2007 initiative took shape. Among the changes were the addition of two-way left-turn lanes in three different places between Sultan and Gold Bar, as well as construction of the roundabout at Rice Road and modifications of the intersection at Old Sultan-Startup Road. Lawmakers provided $10 million for those types of projects. The Rice Road traffic circle was completed in 2012. In the five years before its opening, 17 accidents were reported at the intersection, including Ramsey’s. Since the change, there have been nine accidents, none fatal, WSDOT data show. “The stats definitely show there has been an improvement at Rice Road,” Olsen said in an email. Rumble strips on the highway’s shoulders and centerline have also proved successful, said WSDOT regional administrator Lorena Eng. Since their installation as part of the 2007 safety measures, she said, drivers have shared firsthand accounts of drifting out of lanes onto the rumble strips and correcting their cars. Other projects included adding warning signs along the highway — one urges drivers to watch for motorcycles, in Ramsey’s memory — re-striping and modifying certain turn lanes, and reducing speed limits in some areas. For example, the speed limit in Gold Bar was dropped from 40 mph to 35 mph. Crews also built an overcrossing from Bickford Avenue, a main route through Snohomish, to westbound Highway 2, as well as an interchange at Highway 522 in Monroe, in part to reduce accidents. Those projects complemented the Washington State Patrol’s push to boost Highway 2 patrols, and a partnership with area schools to teach students about safe driving. Ramsey’s widow, Kelly Ramsey, said she played an advocacy role in the education effort after her husband’s death, while Wolter worked with the community and transportation officials on the roundabout to improve Rice Road. And the Highway 2 safety push isn’t over. WSDOT will spend an additional $19 million on more projects in the coming years as part of the state’s $16 billion statewide transportation package approved by lawmakers in 2015, Olsen said. It’s financed primarily by gas-tax increases. But to answer reader Baltzelle’s question, has the decades-long effort shown success so far? Missed last week’s Q&A? We tackled the law governing mufflers and loud exhaust systems after several people emailed Traffic Lab with complaints about excessively noisy cars, trucks and motorcycles, as well as a Seattle reader’s parking concern.